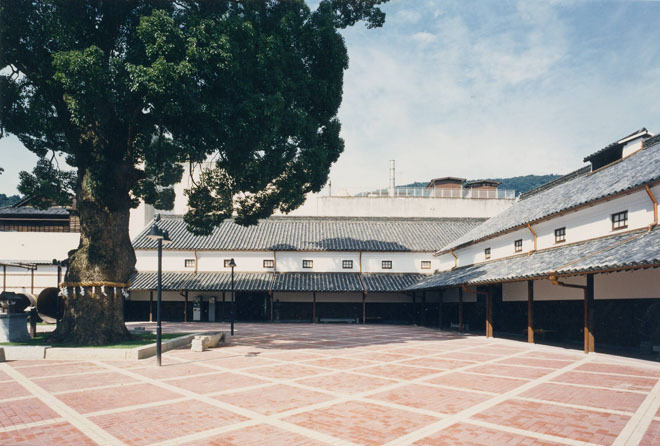 This is the place where visitors can relax and rest. 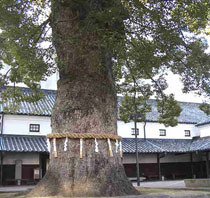 A long time ago, the 'Kotohira Tengu' (long nosed goblin) took a rest on this magnificent Camphor tree. Please enjoy the rustle of leaves and dappled light here.